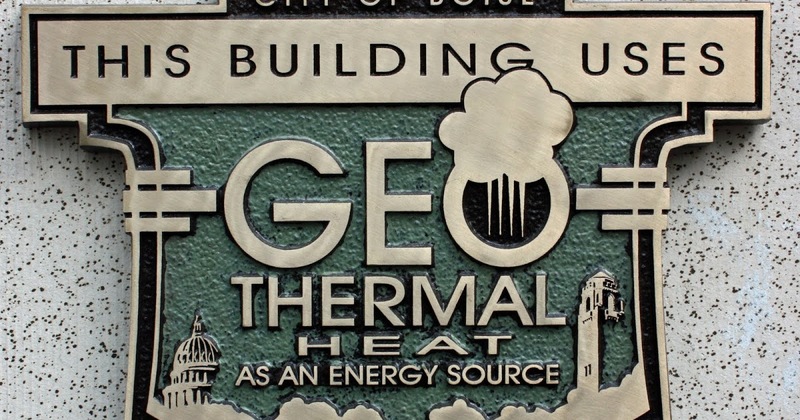 Boise, Idaho is one of the great geothermal energy communities in the world. The city has been utilizing geothermal heat since 1890 and now boasts four district heating networks of more than 65 downtown buildings. 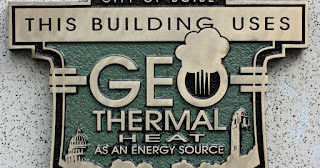 The city and its citizens are rightfully proud of its geothermal heritage. A new museum in Boise is planning a major exhibit on the geothermal energy resources in the Treasure Valley, however they need additional funding to make it happen. This is where the global geothermal community can help. Boise WaterShed Exhibits (BWE) and the City of Boise are collaborating on the construction of the Boise WaterShed River Campus, a beautiful series of outdoor exhibits modeling the regional watershed. They are upgrading the software of current exhibits and installing new teaching elements focused on a sustainable future for the Treasure Valley including geothermal energy. Ribbon cutting is in April, 2017. 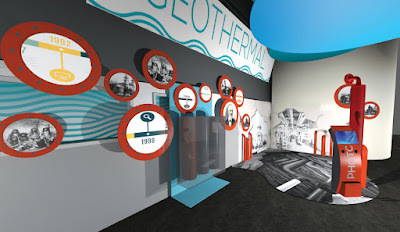 Among planned exhibits is one focused on geothermal - The Heat Beneath Your Feet. 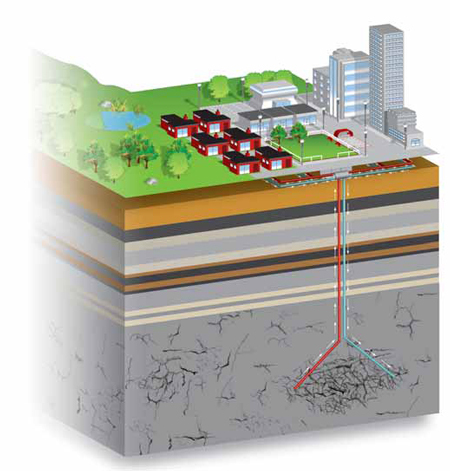 Boise’s direct-use geothermal is unique in the nation. What is the geology behind this resource? What is its history and how did it contribute to Boise’s growth? What is geothermal’s potential in Idaho? An illustration of the proposed "Heat Beneath Your Feet" exhibit at the Boise WaterShed River Campus. COURTESY BOISE WATERSHED EXHIBITS, INC. According to the campus website, the exhibit will be "a fascinating portrayal of Boise’s direct-use geothermal system, this complex exhibit will include interactive education about the geology and technology that provides our local sustainable energy source; information about Idaho’s expansive geothermal potential; an historic photographic timeline of the geothermal development that led to Boise’s growth; and an anamorphic painting of the earth peeled away to reveal hot depths below. The painting will appear 3-dimensional when viewed from a particular angle. Visitors can take their photos “teetering on the edge” of the hot abyss and share them through social media." The Heat Beneath Your Feet exhibit will provide a compelling look at a green energy source that is as old as the earth itself. It deserves our support. Donate to Boise WaterShed Exhibits, Inc. through PayPal. If you live in the area please drop in show your support on behalf of the global geothermal community. 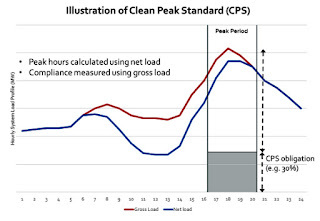 A Clean Peak Standard might even be a way to revalue the neglected base load renewables; geothermal, and landfill gas. 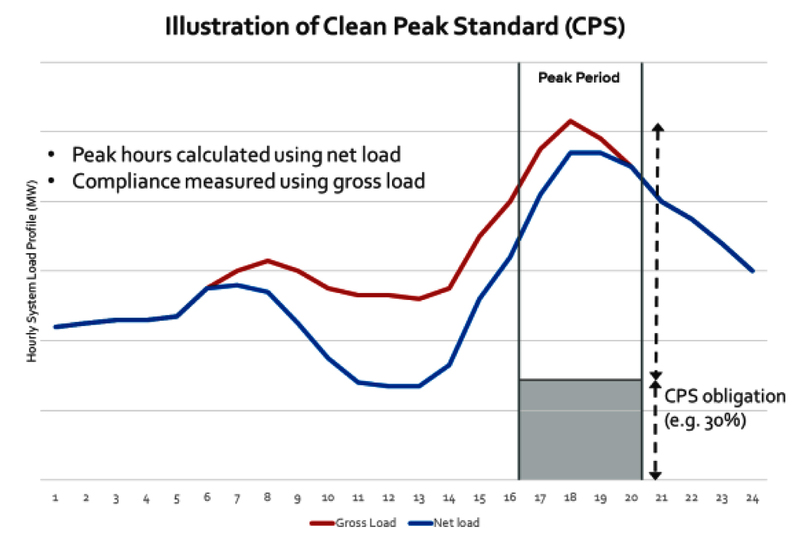 A way to incentivize the use of clean energy — instead of gas peakers — to cover peak loads has been proposed in a white paper commissioned by Arizona’s Residential Utility Consumer Office, through a revision of state Renewable Energy Standards (RES). A CPS might even be a way to revalue the neglected base load renewables; geothermal, and landfill gas. Both provide steady base load generation, and back in the day when base load was what the grid was all about, landfill gas and geothermal looked most likely to represent the future of clean energy. Analysis shows that the hybrid scheme is working. Renewable energy can be a tricky business. If you’re not dealing with the intermittency of solar or wind power, you might struggle with some of geothermal’s more complex issues. For example, older geothermal plants rely on steam output that can diminish over time or harm the plant’s turbine components. Or, a geothermal plant can damage the subterranean aquifer that it’s taking hot water (called brine) from. Or, if the geothermal plant is air-cooled, a particularly hot day can reduce the plant’s efficiency. 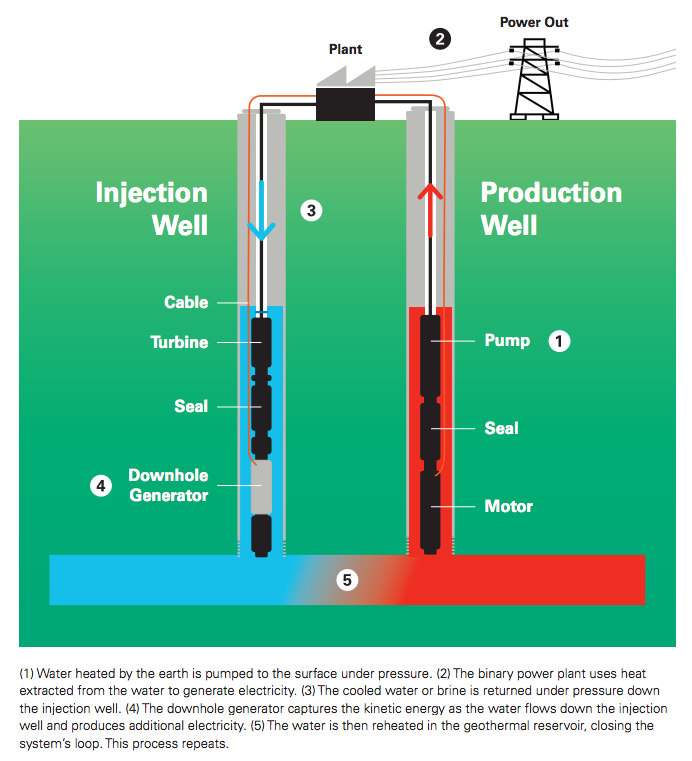 To combat all of these issues, Italian renewable energy company Enel Green Power has been working to make its geothermal resources in Fallon, Nevada, and Cove Fort, Utah, more efficient by combining them with other renewable power sources. In its most recent endeavor in Cove Fort, Enel cleverly combines hydroelectric power with geothermal power for the first time in North America. 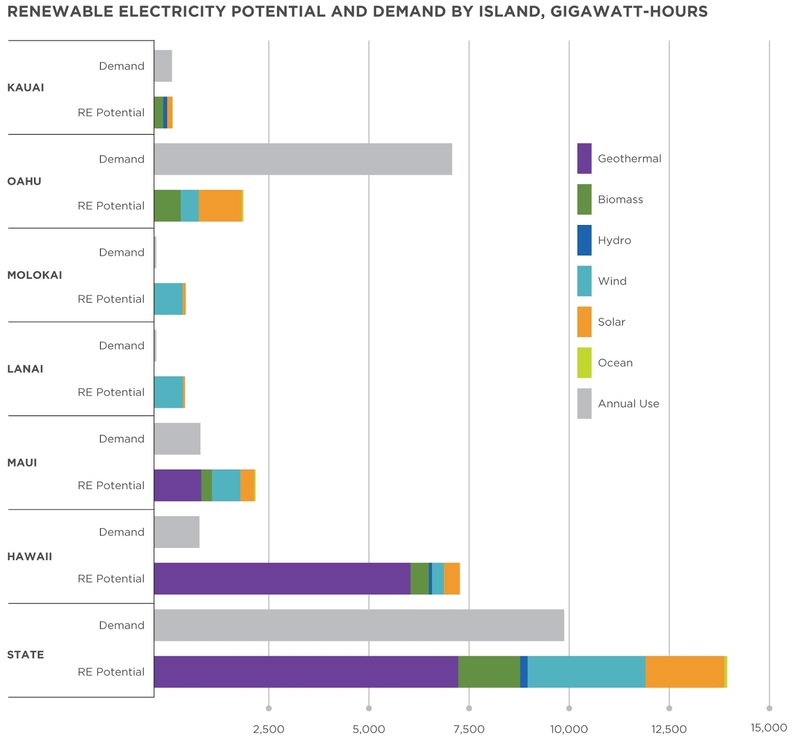 The Department of Business, Economic Development and Tourism’s (DBEDT) Hawaii State Energy Office (HSEO) has released its 2016 Energy Resources Coordinator’s Annual Report, which highlights the policies and activities that have advanced the state approximately a quarter of the way toward its target of achieving 100 percent renewable energy by 2045. The report details the state’s progress toward meeting its goals of energy self-sufficiency, economic growth and carbon reduction. At the heart of this effort is the Hawaii Clean Energy Initiative (HCEI), which brings together stakeholders and provides a framework for realizing the goals through various clean energy programs, regulatory advancements, industry partnerships and policies. Olkaria Geothermal Spa, by Benedict Steingrimsson. Olkaria II 105 MW power plant in the background. Taken 2 March, 2014. GRC Photo Contest 2016. 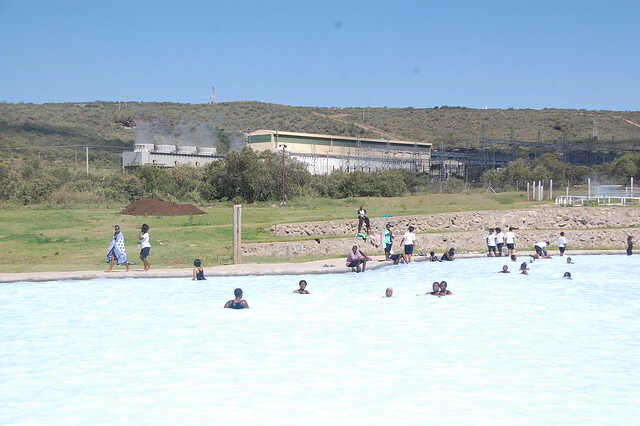 This spa belongs to KenGen which runs the Olkaria Geothermal Power Plant - Africa's largest geothermal installation, and whose spa is also the only one of its kind on the continent. The spa is five feet deep and 3,600 square metres wide. It cost $300,000 (Sh30 million) to put up it's thee cascading blue lagoons, including the kid's pool. Did you know that this spa's pool has brine water (a solution of sodium chloride, salt and water) which passes through the pipes at 150°C, but cooled twice to 60°C then 30°C by the time it reaches the pool? For health buffs, the sulphur in the water is good for the skin after undergoing hydrotherapy sessions. Indeed, the sulphur and silica minerals in the water that gushes underground can cure psoriasis (silvery skin scales), fibromyalgia (bodily pain) and arthritis. Leading international law firm Clifford Chance has advised a consortium comprising Star Energy Group Holdings Pte. Ltd., Star Energy Geothermal Pte. Ltd., AC Energy Holdings, Inc. (a subsidiary of Ayala Corporation) and Electricity Generating Public Company on the entry into binding agreements to acquire global energy provider Chevron's geothermal operations in Indonesia and the Philippines. The assets in both countries include geothermal fields with a combined capacity to generate more than 1,100 MW of electricity and steam. French and Dominican geologists and geochemists conducted water and rock surveys in 20 areas of the Dominican Republic to determine their geothermal potential and assess conditions leading to clean energy production, as part of a study funded by the Inter-American Development Bank (IDB). The study "Specific Agreement to Evaluate the Geothermal Potential of the Dominican Republic" is carried out by the French Geological and Mining Research Office (BRGM), and the Energy and Mines Ministry (MEM), through the affiliate agency National Geological Service (SGN), which will also determine which areas have the most potential to develop geo-tourism projects. The Internal Revenue Service (IRS) recently issued Notice 2017-4 (the “Notice”) which makes two important changes to its “beginning of construction” rules for taxpayers seeking to take advantage of the section 45 renewable electricity production tax credit (PTC) for wind and other renewable energy facilities including geothermal, biomass, landfill gas and certain hydropower and marine hydrokinetic energy projects. Under prior IRS guidance, including Notice 2016-31 discussed in our blog post here, taxpayers have two ways to establish that they started construction. They can either show that they began physical construction of a significant nature (the “Physical Work Test”), or incurred at least 5% of the total cost of the eligible facility (the “5% Safe Harbor”). However, once construction has begun or cost have been paid or incurred, the IRS requires taxpayers to make continuous progress towards completion to satisfy both the Physical Work Test and the 5% Safe Harbor (“Continuous Construction Requirement”). Taxpayers are deemed to satisfy the Continuous Construction Test provided they began construction on the facility prior to January 1, 2015, and place it in service prior to January 1, 2017 (the “Continuity Safe Harbor”). The California Energy Commission's Tracking Progress webpage provides sector-specific summaries of California's progress toward a cleaner energy future. An update on Renewable Energy is now available which includes current data for geothermal energy in the Golden State. There are 44 geothermal power plants in California for a total of 2,716 MW capacity. In the near future, 7 geothermal projects of 360 MW capacity have received environmental permits but have not started construction. Italy’s energy agency Gestore dei Servizi Energetici (GSE) last week released the list of projects, 869.8 MW of capacity, that won the right to sign off-take contracts in a renewable energy auction. The auction, launched in June, includes a 19.8 MW geothermal power plant to be developed by Enel Green Power at Monterotondo Marittimo, a comune in the Province of Grosseto in the Italian region of Tuscany. President Joko Widodo (Jokowi) has said that Indonesia has abundant potential in geothermal energy, and so far, only five percent, or 29 thousand MW, of this potential has been used. 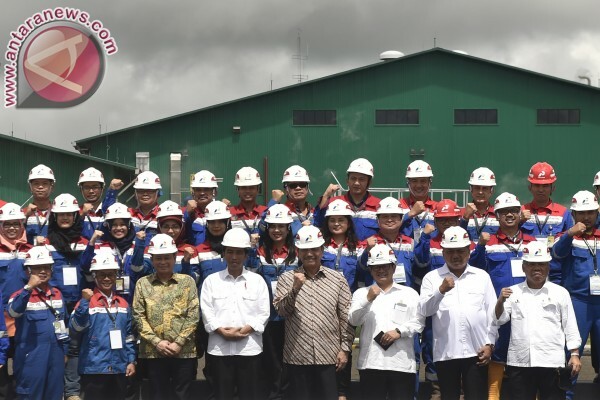 "Therefore, the remaining potential, of 95 percent, needs to be exploited," Jokowi stated in Tampaso, here, Tuesday, while inaugurating the fifth and sixth units of the Lehendong geothermal power plant and the third unit of the Ulubelu geothermal plant. President Joko Widodo (Jokowi) inaugurated the geothermal power plants in Minahasa, North Sulawesi on Tuesday. Lahendongs Units 5 and 6 can generate 20 MW each, while, Ulubelus Unit 3 has a total capacity of 55 MW, with an investment of $250 million. The Hawaiian Electric Companies have outlined a detailed plan charting the near-term actions that will lead to the use of renewable resources to meet 100 percent of Hawaii’s power generation needs by 2045. The companies forecast that they will exceed the state’s renewable energy milestones in 2020 and can exceed the milestones in 2030 and 2040 by attaining a renewable portfolio standard (RPS) of at least 100 percent by the end of 2040; the mandated goal is 70 percent. This would be five years ahead of the 2045 deadline to reach the goal of 100 percent renewable energy. One of the more realistic models forecasts 37 MW of new geothermal by 2040, probably on Maui. 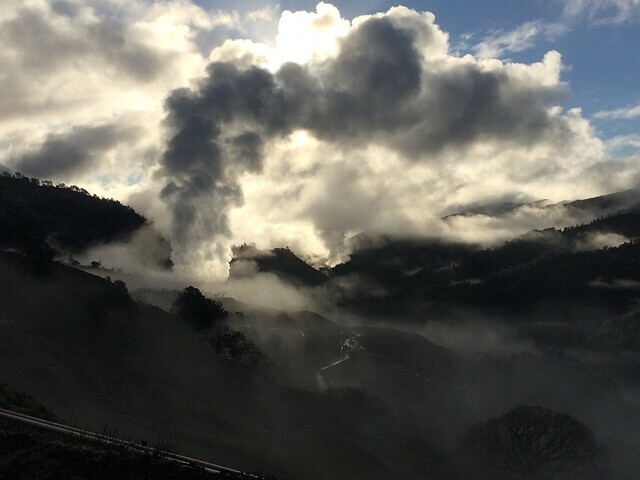 A more unrealistic model calls for 208 MW of new geothermal energy by 2045. ILS Chile has delivered a consignment of project cargo to the 48 MW Cerro Pabellón geothermal plant, which is located at an altitude of 5,000 m in one of the South American country's volcanic areas. The consignment of equipment included transformers, as well as pipes and accessories for the plant. ILS Chile coordinated the transport of 120 containers from the ports of Iquique and Antofagasta to the volcanic site in a total of 200 truckloads. The cargo was delivered across the Atacama Desert, which was subject to temperatures as low as -15°C and as high as 39°C, alongside winds of up to 80 km/hr. 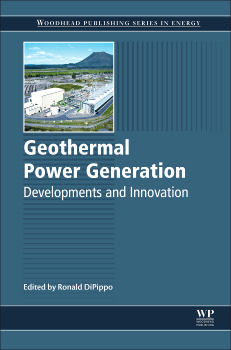 Geothermal Power Generation: Developments and Innovation provides an update to the advanced energy technologies that are urgently required to meet the challenges of economic development, climate change mitigation, and energy security. As geothermal resources are considered renewable and can be used to generate baseload electricity while producing very low levels of greenhouse gas emissions, they can play a key role in future energy needs. This book, edited by a highly respected expert, provides a comprehensive overview of the major aspects of geothermal power production. The chapters, contributed by specialists in their respective areas, cover resource discovery, resource characterization, energy conversion systems, and design and economic considerations. The final section provides a range of fascinating case studies from across the world, ranging from Larderello to Indonesia. Users will find this to be an essential text for research and development professionals and engineers in the geothermal energy industry, as well as postgraduate researchers in academia who are working on geothermal energy. The incumbent will collect data on a variety of assigned cases related to oil and gas and geothermal mineral cases. The incumbent will determine the accuracy and proper execution of applications or claims and the qualifications of applicants for legal rights as requested. The selectee will adjudicate a wide variety of routine mineral leasing applications. The incumbent will also prepare routine correspondence, including leases, permits, decisions, and drafts to more complex adjudication cases (concerning lands, mining, oil and gas, or mining leasing cases). The incumbent will independently gather and research information and data necessary to complete and adjudicate a legal document. The selectee will utilize data systems and applications to collect, enter and manipulate, update and maintain data according to prescribed Bureau and program standards. They will also ensure data quality and integrity by adherence to quality control standards and procedures. A source of geothermal energy that has the potential to supply millions of people with heating and electricity for decades has been detected in Shandong province. 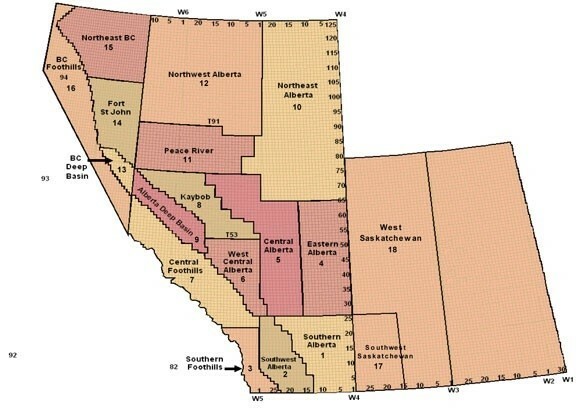 The province's No 1 Institute of Geology and Mineral Resources has detected rock temperatures as high as 110°C at a depth of 1,240 meters beneath the earth's surface. Jing Xiaodong, from the institute, said temperatures could reach 150°C to 200°C at the drill hole maximum depth of 4,000 meters. "This hot dry rock resource can be used to produce power in a very environmentally friendly way, and the cost of generating power from hot dry rock is much lower than with coal," Jing said. The institute has located two regions of hot rock under the cities of Weihai and Yantai. If just 2 percent of the geothermal energy contained in those two regions was utilized, it could supply Shandong with heat and electricity for 38 years, Jing said. Tax season is fast approaching, and Borealis is trying a new approach to garner investment, and just in time to develop hot springs near Valemount. Borealis Geopower is the first geothermal company in B.C. to qualify for the Eligible Business Tax Credit, according to Chief Geologist, Craig Dunn, who says the organization can now give investors a 30 per cent tax credit. In acquiring the ability to give tax credits, Dunn says Borealis hopes to increase fundraising efforts and investment in order to fund phase one of the Canoe Reach Energy Project, which includes a hot spring and greenhouse development, as Borealis is pairing with a organic food company called Grown Here Farms, for the development of the greenhouse facility, according to Dunn. Wishing you joy, laughter, and a prosperous new year! Trapped within Earth’s layers of impermeable rock is an energy source, waiting to be efficiently tapped. Few researchers are equally adept in both the field and the lab. Adam Hawkins (a GRC member), a graduate student in Earth and Atmospheric Sciences is one of those researchers, and rightly so. His work on enhanced geothermal systems (EGS) bridges the gap between lab-based experiments and widespread field commercialization. As a research team member in the Jefferson W. Tester lab, Smith School of Chemical and Biomolecular Engineering, Hawkins uses a combination of experimental field tracer tests, lab experiments, and computational models to predict the performance of geothermal reservoirs—hot water and steam trapped under impermeable rock within the Earth. Indonesia state owned energy company PT Pertamina said its subsidiary PT Pertamina Geothermal Energy (PGE) installed capacity is expected to increase by 14% per annum in between 2017 to 2021, a company official said. Director for Upstream of Pertamina Syamsu Alam was quoted by Investor Daily as saying that the installed capacity of PGE will gradually increase to 1,037 MW in 2021 from 532 MW at present. Syamsu said in 2017, Pertamina targets to operate two new geothermal power plants, namely PLTP Ulubelu Unit 4 with capacity of 55 MW and PLTP Karaha Unit 1 with capacity of 30 MW. This will raise PGE’s geothermal energy installed capacity to 617 MW by the end of 2017. In a recently announced round of grant funding, Dr Charlotte Adams from Durham University’s Geography Department will take the lead role in an exciting study to look at the mine workings in and around Spennymoor with a public presentation in spring 2017 on the viability and sustainability of using ground water sources within the mines to heat public and private buildings. 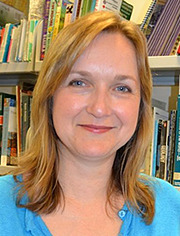 In setting out the scope for the study, Dr Adams submitted that Spennymoor has investigated some low carbon energy options including solar power but the challenges faced include identifying alternatives to conventional fuels and educating decision makers to be innovative in embracing solutions that benefit the community longer than the 4 year political cycle. This project will ascertain whether flooded abandoned mines beneath the town are suitable as a source of heat when used in conjunction with heat pumps either individually or as part of a heat network for areas of the town. This project will, gather mine plans and map areas of flooded abandoned mine workings, look for correlation between resource and demand and estimate the resource available. A cold front slid across California yesterday bringing rain to the valleys and snow to the Sierra Nevada. It was cloudy and wet throughout the Golden State. This affected electricity generation especially wind and solar. When the wind doesn't blow and the sun doesn't shine these renewable energy providers suffer. 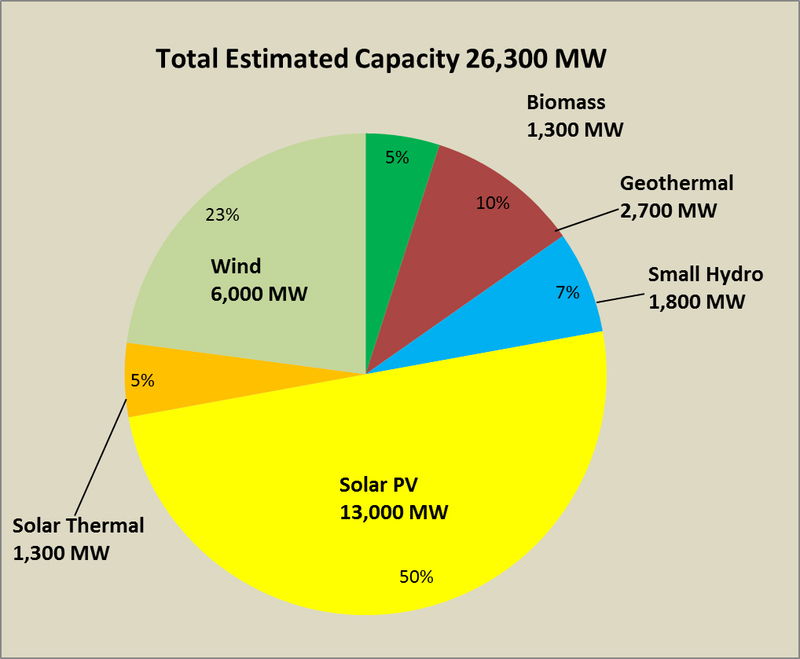 The California Independent System Operator (CAISO) measures the output from renewable energy providers to the State grid. As you can see in the graph on the left it never got windy in California yesterday. There was enough sun to energize solar panels for just 9 hours. The weather wasn't cooperating. In fact, yesterday in California, geothermal energy was the biggest provider of electricity to the CAISO grid, with over 24,000 MWh. Solar energy (PV and thermal) peaked at midday and only supplied 21,700 MWh. Chevron Corporation announced that its wholly-owned subsidiaries have entered into a sales and purchase agreement with Star Energy Consortium to sell Chevron’s Indonesian and Philippines Geothermal assets. The Indonesia consortium consists of AC Energy -- with a 19.8% economic stake -- Star Energy Group Holdings Pte. Ltd., Star Energy Geothermal Pte. Ltd., and Electricity Generating Public Co. Ltd. The acquisition will be made through their joint venture company, Star Energy Geothermal (Salak-Darajat) B.V. In the Philippines, the consortium consists of AC Energy and Star Energy Group Holdings Pte. Ltd. The acquisition will be made through their joint venture company, ACEHI-STAR Holdings, Inc. The Society of Petroleum Engineers (SPE) and Geothermal Resources Council (GRC) have teamed up to develop a joint workshop bringing together researchers, engineers, and field technicians concerned with Upstream E&P, Corrosion and Scaling, and Geothermal Energy. 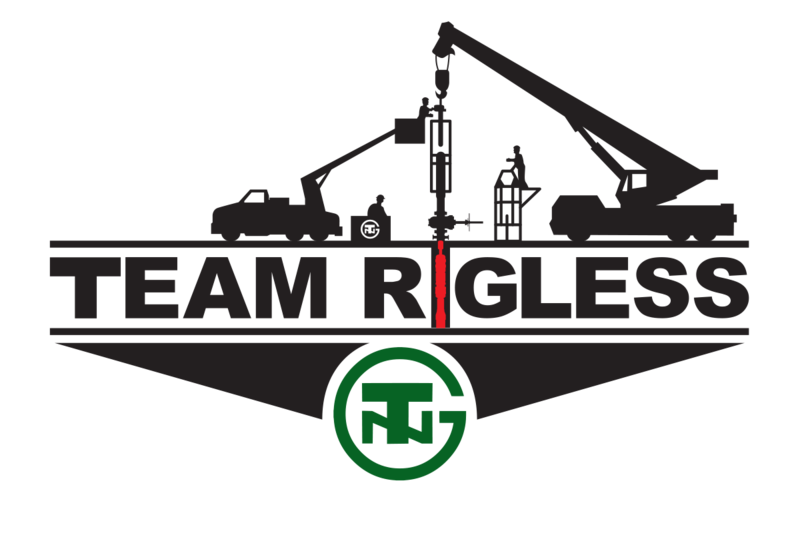 On December 20, 2016 – TNG Enterprises Inc. (TNG) with our New Zealand partner Century Drilling & Energy Services (NZ) Ltd (MB Century), completed the first wellhead repair using TNG’s proprietary rigless wellhead repair solution, the Geothermal Wellhead Equipment Repair Tool (GWERT) in the country. TNG’s GWERT has completed nearly 400 valve changes and/or wellhead repairs across the US and Asia Pacific over the past 18 years. Our new partnership enabled MB Century to expeditiously service a wellhead issue on a well near Kawerau, New Zealand for a major operator. The Philippines Department of Energy granted the farm-in agreement between DESCO Inc. and Basic Energy Corp., which allows the former to take an 80 percent stake in the Iriga geothermal project located in Camarines Sur. Basic Energy said in a disclosure with the Philippine Stock Exchange Thursday that DESCO will finance the drilling operations at the Iriga geothermal project. According to Basic Energy, DESCO will fund the drilling of the first well, while the succeeding wells will be financed by Basic at 20 percent and DESCO at 80 percent. The farm-in agreement was signed last January 18. Electricity producer KenGen expects to cut the cost of drilling for geothermal steam by 41.67 per cent after acquiring three more rigs, raising hopes of a drop in power bills in coming years. The new equipment, geothermal resources development manager Peketsa Mangi said, will save the Nairobi Securities Exchange-listed firm millions of shillings it has been spending to hire rigs. He said the cost of drilling wells is likely to fall to $3.5 million (Sh358.05 million) from $6 million (Sh613.80 million). “We currently have 287 geothermal wells in Olkaria, and with the acquisition of the rigs we expect we will be doing at least five wells every year,” Mangi said in Naivasha. Two of the rigs have the capacity to drill wells that are between five and seven kilometres deep. to help identify new geothermal plays. The Department of Energy’s (DOE) Geothermal Technologies Office reported completion last week of seismic data acquisition at two key geothermal sites in northern Nevada. Supported as part of a $1.5 million federal share project launched via last summer’s Subsurface Science, Technology, and Engineering Research, Development, and Demonstration (SubTER) funding opportunity announcement, the data was acquired by U.S. Geothermal in the vicinity of existing geothermal operations at San Emidio and Crescent Valley. 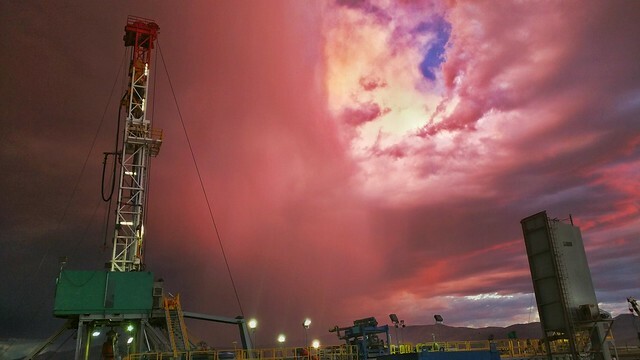 San Emidio has been engaged in previous DOE-funded efforts, and Crescent Valley is a key region in the ongoing Nevada Play Fairway Analysis, which seeks to expand geothermal operations in the state. The resulting imagery, produced using MicroSeismic passive seismic emission tomography, should indicate the presence of permeability fairways that will aid in targeting new geothermal wells for production. Optim Software (Reno, NV) and Berkeley Lab (Berkeley, CA) will provide support during the data interpretation stages. Almost 1,000 council tenants in 13 blocks of flats are in line for cheaper heating bills thanks to geothermal energy. Stoke-on-Trent City Council has identified the high-rise buildings – in Stoke and Hanley – as suitable for connection to its forthcoming £52 million district heat network (DHN). 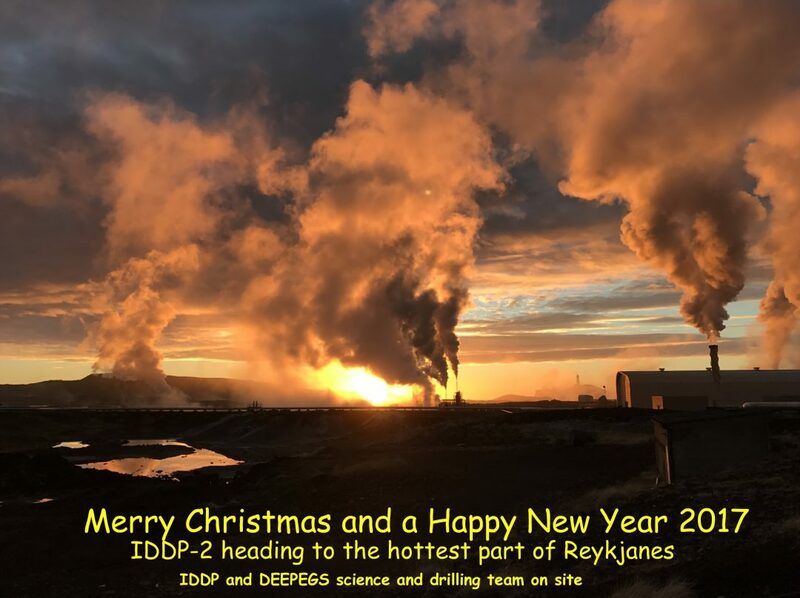 The DHN, which is due to be operational by 2019, will involve geothermal energy being extracted from deep underground and distributed to homes and businesses via water pipes. The city council secured £19.75 million from the Government for the DHN project through its City Deal. And private company GT Energy is set to invest millions of pounds into a geothermal plant to power the network on the former Greenhouse 2000 site in Etruria. 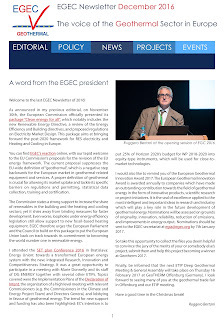 The December issue of the EGEC Newsletter is now available. 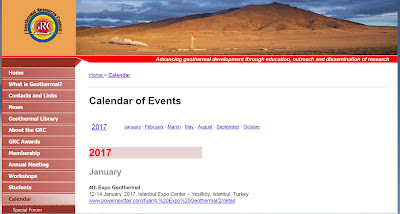 The European Geothermal PhD Day (EGPD) aims to provide the growing number of young geothermal scientists with an informal platform to share knowledge, stimulate collaboration and offer career and networking opportunities. Participants at any stage of their PhD studies, who are interested in presenting their work and getting feedback from fellow PhD students or who would like to explore future directions in their research and careers are welcome to join the 8th EGPD. 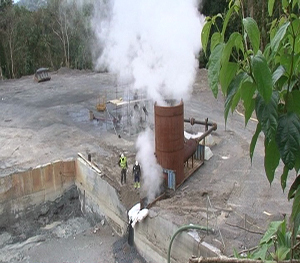 The Government of Dominica, after taking a decision to run the geothermal project as a company solely owned by the government and people of Dominica, has committed to investing US$ 15M into the geothermal company with funds from the Citizenship by Investment Programme. Walk-in Registration and a continental breakfast begin at 7:30am on the first day. You can avoid the long lines to register by doing so in advance. If you have already registered, thank you. If not, registration and secure online payment can be made at http://pangea.stanford.edu/ERE/db/GeoConf/. Registration before Saturday 31st December 2016 is discounted to $640, normal registration after Saturday 31st December 2016 and before Sunday 5th February 2017 is $690. Late (after Sunday 5th February 2017) or on-site registration will be $790. Student registration is $150, but only until Sunday 5th February 2017. After Sunday 5th February 2017 student registration will be at the full rate of $790. You can also print out the registration page and fax it to Stanford Geothermal Workshop at +1(650)725-2099. The European Commission has found amendments to the German renewable energy scheme to be in line with EU state aid rules. As of 2017 support will mainly be granted through auctions.This will promote the steady deployment of renewable energy whilst maintaining competition in the German energy market. Other technologies supported under the EEG 2017 (hydropower, geothermal and installations using sewage gas) will continue to be eligible for feed-in tariffs (for installations up to 100 kW) and market premiums defined in the EEG 2017 in line with the Commission's 2014 Guidelines on state aid for environmental protection and energy. This is because there are not enough potential projects for those technologies to enable the organisation of competitive bidding processes. The project title is ’Reservoir compartmentalisation and stress heterogeneity: inferences from InSAR (Interferometry by Synthetic Aperture Radar) time-series data processing for surface displacements, subsidence inversion to reservoir geometry and advanced stress models '. The project is EU-funded within the framework of GEMex: Cooperation in Geothermal energy research Europe-Mexico for development of Enhanced Geothermal Systems and Superhot Geothermal Systems (a Horizon 2020 project). The objective of this post-doctoral research project is to assess the field compartments in reservoir models of the Los Humeros field (west TMVB, Mexico) constrained by geodetic data (INSAR and GPS). Renewable energy is expected to account for 32% of Germany’s electricity consumption in 2016 on track for the government’s target of 35% by 2020, according to new research. The Centre for Solar Energy and Hydrogen Research Baden-Wurttemberg and the German Association of Energy and Water Industries expect some 191bn kilowatt hours (kWh) of green power will have been produced by the end of the year. In 2015, 187bn kWh made up 31.5% of the country’s electricity production, the organisations said. Geothermal installations exported 200 million kWh, up 12%, according to the research. The Department of Energy on Monday announced it has chosen four companies to develop proposals for test sites to explore storing nuclear waste thousands of feet underground. The eventual test project will not involve any nuclear waste, but one of the primary purposes is to learn about the possibilities of storing spent fuel three miles underground, according to Andrew Griffith, deputy assistant secretary for spent fuel and waste disposition who spoke with reporters on a conference call Monday. The field test could also provide data about geothermal energy, rock formations, drilling techniques and underground temperatures. Latin America: "GDF Gives Geothermal a Fighting Chance in Today’s Highly Competitive Environment"
This week, New Energy Events spoke with Chris McCormick, the Chief Investment Officer of the Geothermal Development Facility for Latin America , to better understand the details surrounding the new fund, and how he expects the GDF will impact the development of geothermal projects across Latin America and the Caribbean. Thank you for supporting the evaluation of proposed framework, specifically developed to assess and guide the contribution of geothermal power projects to sustainable development in a local and regional setting. This short survey will help to identify what aspects of the framework best describe the expectation of the industry and its stakeholders about a project's contributions to sustainable development. The entire survey should take between 10-15 minutes of your time. Thanks in advance, Nastaran Arianpoo, PhD Candidate, University of British Columbia, Mining Engineering Department, Vancouver, Canada. In the northern environments of the world moving from fossil fuels to renewable energy is sometime harder to accomplish. In many northern villages and towns the sun rarely shines and gray is often the color of the sky which makes solar energy considerably less effective and more expensive. 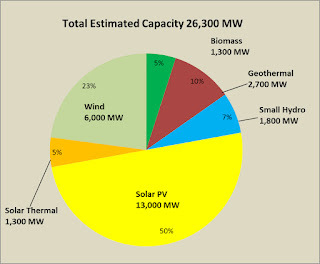 Wind power may be an option be it a very variable one. In this northern locations there can very little in the way of vegetation such as fast growing trees which could be used for biomass generation. So what is left for companies and communities in the cold north? Many northern countries are adopting clean geothermal energy. One of the heaviest truck loads rolled through the country roads from Húsavík to Þeistareykir last week, with a turbine and a generator for the Þeistareykir Power Station. The total weight of the transport was about 220 tons, the previous record, 196 tons, was placed in transport power transformers in Fljótsdalsstöð at the time. Ormat Technologies, Inc. today announced that Ormat Nevada Inc. (Ormat Nevada), and ORPD LLC (ORPD), through OrLeaf LLC, a jointly established new subsidiary, entered into a partnership transaction with a financial investor that will allow us to efficiently monetize the federal tax incentives relating to five geothermal power plants located in eastern Nevada. The transaction involves the McGinness Hills geothermal power plant complex, and the Tuscarora and Jersey Valley geothermal power plants which, prior to the transaction, were wholly owned by Ormat Nevada, as well as the Don A. Campbell phase 2 geothermal power plant which, prior to the transaction, was part of the ORPD portfolio jointly owned 63.25% by Ormat Nevada and 36.75% by Northleaf Geothermal Holdings LLC, an affiliate of Northleaf Capital Partners. As part of the transaction, the five geothermal power plants were transferred to a newly established limited liability company, and the investor purchased membership interests in the company for an initial purchase price of $62.1 million and for which it will pay additional installments that are expected to amount to approximately $21 million through 2022. Ormat Nevada's share of the initial cash proceeds is $55.2 million.